MEXICO CITY — Voters in Mexico will head to the polls Sunday for the largest election in the country’s history, electing a new president, Congress, nine governors and hundreds of mayors and local representatives. This is taking place against a sobering backdrop of violence — over 130 candidates have been killed ahead of the elections. 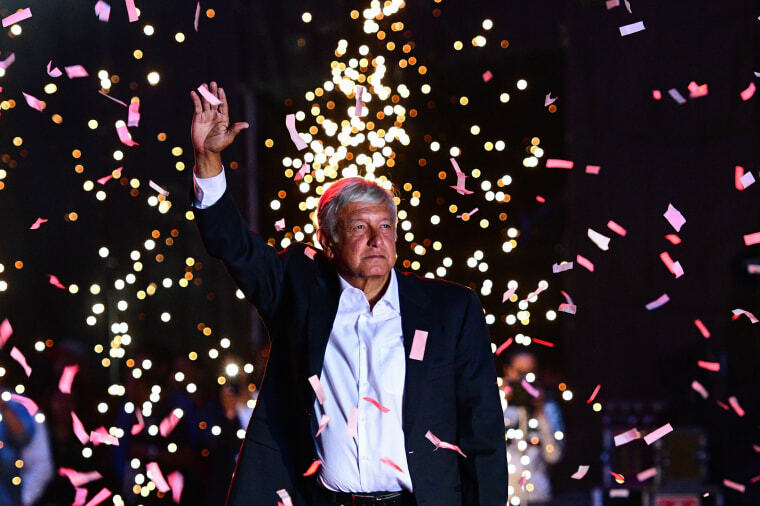 Presidential candidate Andrés Manuel López Obrador, commonly known by his initials, AMLO, has held a steady lead throughout the elections. For Miriam Carreno Campos, 33, López Obrador represents a break from the past, a break from corruption, a moral leader who has values and does what he says he does. “He is the hope for the youth,” Carreno said of the leftist candidate. López Obrador is running against Ricardo Anaya, of the right-left coalition National Action Party (PAN), and José Antonio Meade, from the ruling Institutional Revolutionary Party (PRI). Most polls show that López Obrador will be elected president of Mexico on Sunday. 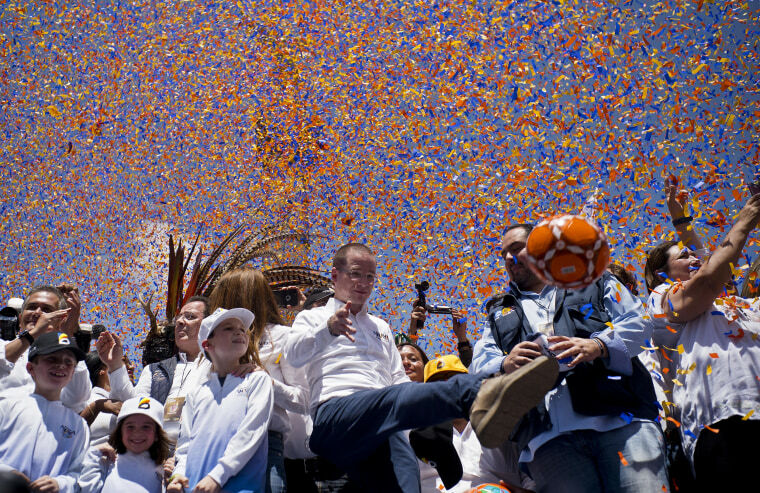 A recent survey from the Mexican newspaper Reforma gave him 51 percent support, Anaya 27 percent and Meade 19 percent. The poll surveyed 1,200 registered voters and had a margin of error of four percentage points. If López Obrador wins, he will become Mexico’s first left-leaning president in generations. The Morena party is likewise expected to gain prominence in leadership in mayorships and governorships throughout Mexico and a majority in the national congress. With these wins Morena and López Obrador aim to curve rampant corruption and create a more inward domestic style of economic development and social policies. “People in Mexico are looking for change. They have lived under the PRI for nearly 80 years and under the PAN for twelve years and are more than ready to try something different like AMLO,” said Mexican historian and Professor Andres Resendez from the University of California, Davis to NBC Latino. But many throughout Mexico are worry that his policies could bring economic instability. Business leaders and foreign investors have concern with AMLO’s proposed protectionist policies that they say would slow down economic growth and future investments in the country. They protest that his policies would take a turn to what Venezuela’s current social economy policies have become. A wave of policies will also be aimed at the United States and that could come with repercussions from leaders at the White House, but it’s one of AMLO’s leading promises. López Obrador ran on a platform of anti-corruption along with a plan to redirect spending to public works and social programs without new taxes, which appeals to Carreno, who works as a communications director at a private technological school, Tecnológico de Monterrey, in Mexico City. Violence and corruption have been themes dominating the campaigns, both at the local and national levels. More than 37,000 people have disappeared in Mexico since 2007, according to a government database. Activists and independent watch groups claim the number is even higher. 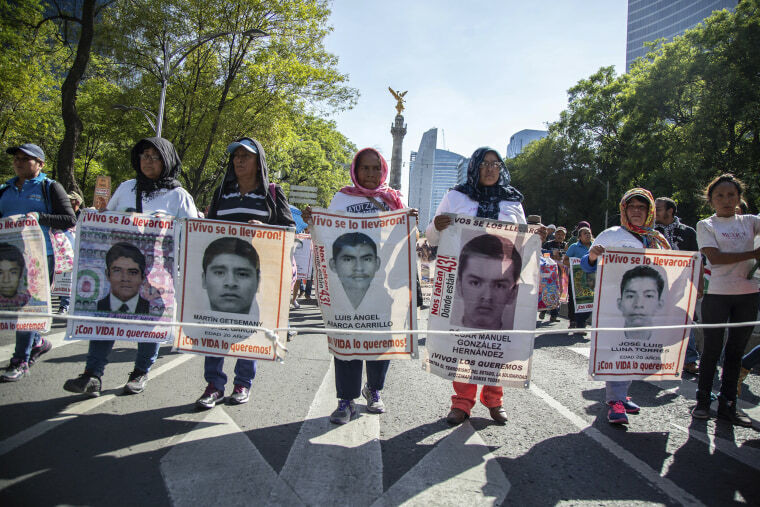 Apart from the killings of at least 132 politicians, more than 300 have suffered some form of aggression since September, according to Etellekt, a Mexico City-based public policy consultancy. For Juan Carlos, whose 71-year-old father disappeared 15 months ago from their hometown of Tepoztlán, a small colonial village just north of Mexico City, the violence and injustice are too widespread for any candidate to be able to stop. “My feeling is that none of the candidates understand the problem we are facing and none of their proposals will change anything for the victims of violence and their families,” said Carlos. Despite his misgivings, he is casting a vote. 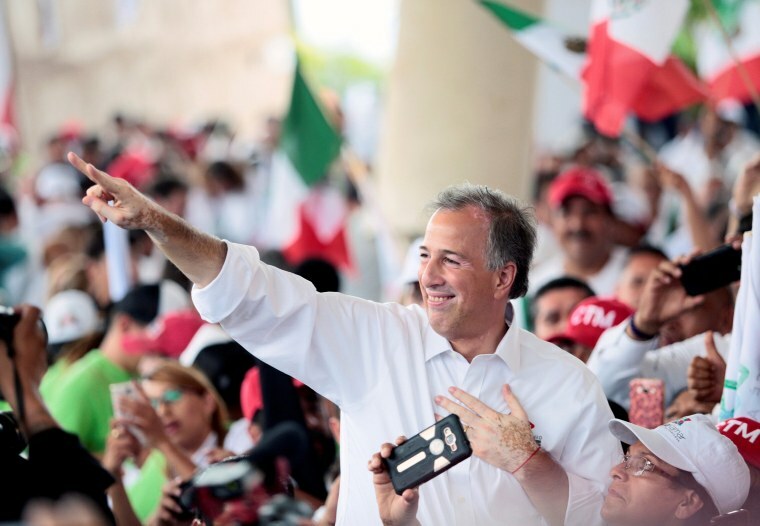 While López Obrador leads the polls, the battle for second place is between Anaya and Meade. Bravo Regidor thinks Meade will not win because he belongs to the same party as the country’s current president, Enrique Peña Nieto. Among the issues that have dogged Peña Nieto is Mexico’s response to the U.S. since Donald Trump’s candidacy and presidency, including his calls for a wall and the issues regarding trade and tariffs. “One of the reasons people want to remove the PRI from power is how the Trump administration has been handled by President Nieto,” said Juan Gómez-Cruces, 35, who lives in Atlanta. Mexicans in the U.S. could register to participate in their home country’s election. López Obrador’s early stance against Trump, including saying he would denounce the building of a wall as a human rights violation, garnered him early attention and support. Supporters of López Obrador are worried that he will lose the election to corruption. But the buildup of the Morena party and its coalitions have amassed great political power that makes a win almost a certainty. The party was created in 2011 to elevate López Obrador’s presidential bid for the 2012 election. Morena consists of a coalition of political parties made up of the leftist Labor Party (PL) and the right wing Social Encounter Party (PES). There are 87 million Mexicans in the country and abroad who are registered to vote. President Enrique Peña Nieto’s successor will take office Dec. 1.